Epicurean Cutting Surfaces are a practical and distinctive improvement from poly, glass and wood cutting boards. They have all of the best qualities and none of the bad-in one highly functional surface. Every design is thoughtfully detailed for functionality in use, clean up and storage. 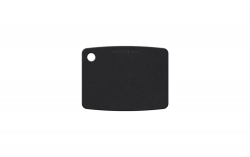 This Epicurean Cutting board is designed to fit in the dishwasher and is NSF approved, so that you can be assured that they will be easy to clean and will not harbor bacteria. Cutting on Epicurean Cutting Surfaces will not dull your knives because the surface will score slightly, which helps it protect your knife's edge. These boards are made with a non-porous wood fiber composite from trees harvested under guidelines of the North America Sustainable Forestry Standards. 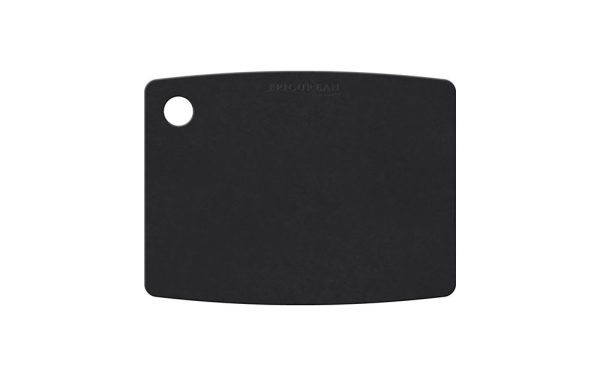 Epicurean Cutting Surfaces resist staining and cracking, and are heat resistant up to 350°. Manufactured in the USA .